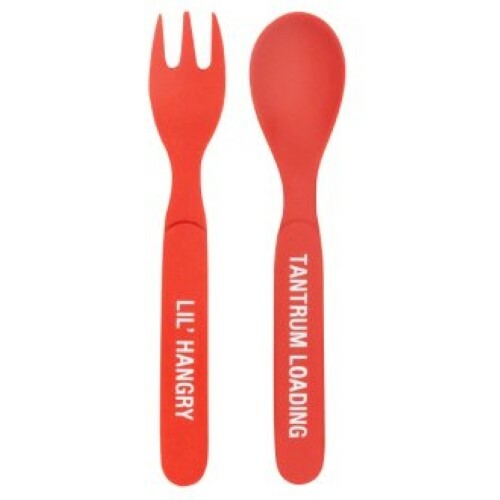 The Bamboo Cutlery Set – Tantrum Loading & Lil Hangry. 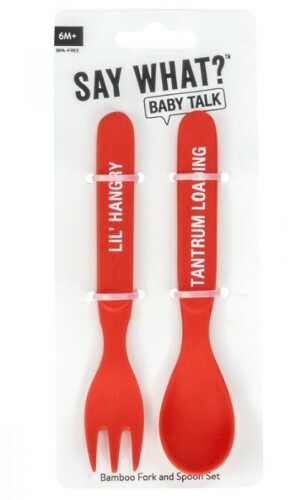 It is a durable bamboo fork and spoon set. Made from environmentally-friendly bamboo and completely biodegradable, the set is non-toxic, BPA and PVC free. 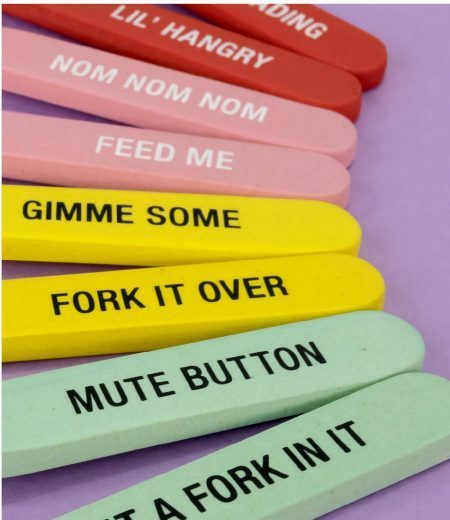 These sets are lots of fun and would be a great gift for new bubs! Packaged together as a set.